So you want to give a space a decorating overhaul but have no idea where to start? 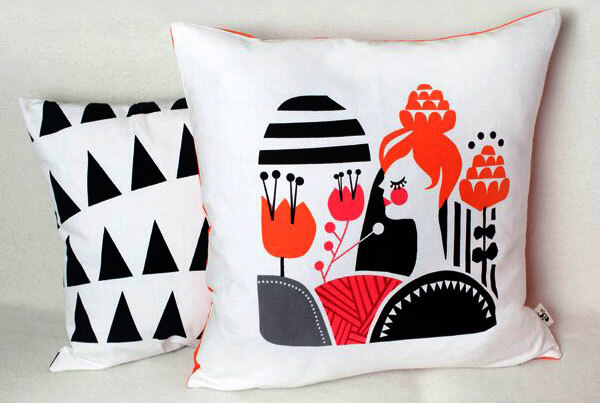 Here’s a tip: pick a gorgeous cushion or print and build the rest of the room from there. I had to tear myself away from the computer after discovering this gem of a store, Everything Begins. I could lose both hours and most of my bank balance here, without shadow of a doubt, but gosh what fun I’d have doing it! Cushions are bountiful and I expect the Totem Collection Cloud cushion (pictured above, $140) from Harvest Textiles will be a hit with children of all ages. 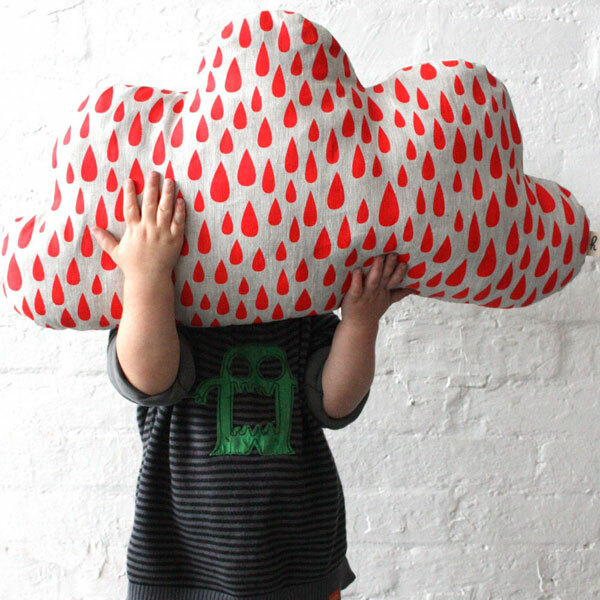 A giant cloud covered in contrasting raindrops would be way too much fun to stay on a chair or bed, so expect to see this one popping up around your home a lot! While I love just about all of the cushions on offer, I have to point out the Darling Clementine Woodland cushion cover series (above, $49 each) is nothing short of magnificent. I’m crossing my fingers my tween daughter will love them as much as I do. The Woodland cushions pair beautifully with the cards of the same name that beg to be framed and hung for an injection of instant vivid colour. Typographic art is a long time favourite of the Babyology team and we especially love when it gets clever. Perfect examples of clever typography are these by artist Ursula Hitz – sublime New York and London map prints and even an Olympic torch typography print. To see all of these products in more detail and more amazing decorating gems, head on over to Everything Begins.